Thanks to the advent of the technologies and other crucial events that took place over the past few years, the online gambling industry has changed significantly. Smartphones have become an inseparable part of our daily routine and they have an impact on our lives for better or for worse. While it is true that their positive influence in some cases can be somehow argued, it is undeniable that having such a modern device offers various new opportunities. One of them concerns directly the gambling activities in which many players engage on a regular basis. Presently, a great number of online casinos offer a mobile platform that gives you the chance to easily access their website through various mobile devices. If you possess a mobile device that has an Android operating system, this could be a smartphone or a tablet, you will be happy to hear that you can play roulette on it. It has never been so easy and convenient to play in a mobile casino and enjoy your favorite game at any time and place. This way you can make a better use of your time as you can enjoy the game whenever. In general, there are two ways to play roulette on a mobile device – you can either directly access the mobile version of the website or download its app for a better navigation. However, when it comes to playing roulette or any other casino game on an Android device, in most cases, you are unable to take advantage of the latter option. The reason why is that all apps that feature real-money gambling are prohibited and therefore, they cannot be found in Google Play Store. The official app store of Android offers some casino apps but the games in them can be played in practice mode only. However, this doesn’t mean that Android users are completely deprived of this privilege. It is still possible to download a casino app that feature real-money gambling, just not from Google Play Store. Usually, the available apps of this type are free and you can download them directly from the respective casino website. If you are reluctant to go to the trouble of downloading a native app on your Android device, you can simply play by accessing the online casino by using your most trusted browser. You will be instantly redirected to its mobile version and all you need to do is to simply log into your profile and enjoy roulette. 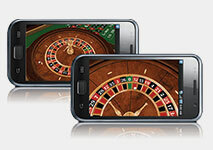 Without doubt, the best thing about playing roulette on your smartphone is the convenience you have. It is entirely up to you when, where and how to enjoy roulette. You can choose the most convenient time, place and device to play which is one of the reasons why mobile casinos are gaining in popularity even more. You will also find out that roulette has been entirely optimized for this type of smartphones so that you can enjoy the game from every mobile device. The crisp graphics and visual effects have also been greatly improved and adjusted accordingly. Another great benefit is the fact that many casinos also offer exclusive deals and promotions that are available to only mobile users. The additional bonuses can drastically enhance your gaming experience and help you enjoy the game for much longer. Furthermore, every reputable mobile casino uses cutting-edge technologies which assure high level of protection. You can have the needed peace of mind that whenever you make transactions on your Android device, they will be handled with care in a secure manner. As previously indicated, almost every online casino has a mobile platform that is compatible with Android devices. Therefore, if you a roulette player who already have a favorite online casino, you can simply access it through your most trusted browser. However, if this is not the case, you can take a look at some of the most popular mobile casinos that are suitable for your Android smartphone. Genting casino is one of the most popular online casinos on a global scale. It is famous for being reliable, trustworthy and innovative. 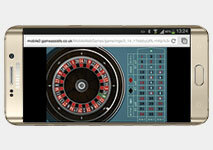 It offers a wide range of roulette games which you can enjoy at any time and place. You can access its website directly by using any of the available browsers on your smartphone. It is extremely easy to play roulette at this online casino as all it takes is to simply browse the casino website. If you happen to already have an account, there is no need to register once again. You can simply use your details to log into your profile which is extremely convenient for the many dedicated players who use the casino on a regular basis. In order to make a deposit, you are given several options to choose from. For instance, you can either use your debit or credit card or pay by Skrill. Most of the available payment solutions transfer funds instantly, meaning that the average processing time is only a few minutes. Casino Action offers roulette players the chance to get a very exciting gaming experience while sitting at the comfort of their home. Its mobile platform is suitable for various Android devices, meaning that if you own Samsung, Sony Xperia, LG or Nexus, you can play on the move. Thanks to this software supplier, you can enjoy French Roulette whose graphics and sound effects are extremely realistic. The game is beautifully designed which further contributes to the pleasant experience you will be able to get from playing this casino favorite. This game offers you the chance to place various bets whose size can vary. You can choose from six denominations for your wagers and this way, put reasonable bets that correspond to your bankroll. The lowest stake you can put is 1 credit, however you are also given the chance to place bets whose amount is as high as 50 credits. This casino surely has something for everyone, regardless of their experience or betting habits. Roxy Palace is another online casino that has developed a user-friendly mobile version for Android users. The online casino aims at suiting everyone’s taste and needs and this is the main reason why it offers a wide range of high-quality games, including roulette. All of the games that this mobile casino offers are powered by the leading software provider Microgaming. This is the reason why their quality and diversity are up to standard. Besides classic roulette, at Roxy Palace you can also play some of the most popular versions of the game, including American, European and French roulette. If you are more of a risk-taker and you like challenges, then you should try the two exclusive games which will significantly increase your level of excitement – Premier Roulette and Multi-Wheel Roulette. You can also diversify your online gambling experience greatly by playing Live Roulette. This game is conducted in real time and it is hosted by a professional dealer who you can see at the time of playing thanks to the live streaming technology. It should be noted that at this mobile casino, it is possible to play in practice mode as well as for real-money. 32Red is a well-known online casino that has been present in the online gambling industry for a considerable amount of time. It is famous for having multiple awards thanks to its professionalism, reliability and responsibility. You can play at this online casino on your Android tablet or smartphone as its mobile casino supports all of the mobile devices that use this operating system. All of the available mobile games have been specially adapted to touch screen so that you can follow the gaming process with ease. You are no longer limited by your location or time as you have the freedom to decide when, how and where to enjoy roulette. This way you can make a better use of your time whenever and wherever you are. All you need to do is to simply access the casino website by using your smartphone or tablet and you will be instantly redirected to its user-friendly website. This is all it takes to play roulette and many other exciting games at the most convenient time for you. This online casino offers various game categories so that everyone can find a game that suits their personal preferences. It should be noted that the mobile casino is constantly updating its games on a monthly basis. EuroGrand is a fully-regulated casino that has an impeccable reputation when it comes to high-quality games and bonuses. Its mobile platform is compatible with various mobile devices, including Android tablets and smartphones. It is very easy to navigate through the website as the game categories are conveniently arranged. Its design is simple yet quite modern and the casino doesn’t spare any effort or expense when it comes to providing its players with only the best mobile gaming experience. If you want to be able to enjoy top-quality roulette games at any place and time you wish, you can simply download the free app directly from the casino website. In order to do this, you need to access the casino website and find the QR code which you have to scan by using your Android smartphone. At this mobile casino, new players are eligible to claim a 100% welcome bonus up to $1,000 which will further enhance their gaming experience. However, before you decide to make a deposit in order to take advantage of the bonus, it is advisable to check its terms and conditions. This way you will be able to determine successfully in advance whether you can meet the set requirements.